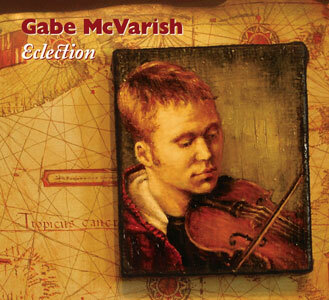 Eclection, the debut album from Gabe McVarish, is a culmination of fiddle styles and repertoire from every side of both the Atlantic and the Irish Sea, and Gabe’s love of the traditional music of the Celtic Diaspora shines throughout. "Eclection, it’s a must buy album for all fiddle fans." "California's golden boy has recorded a solo album, and it's 24 carat"